This annual event will be hosted by Pleasant Grove Baptist Church (8175 Pleasant Grove Rd., Mechanicsville) with their pastor, the Rev. Dr. Marlene Fuller, presiding on Tuesday, November 21 at 7:00 p.m.
Our Pastor, the Rev. Dr. Robert Johnson, will preach. 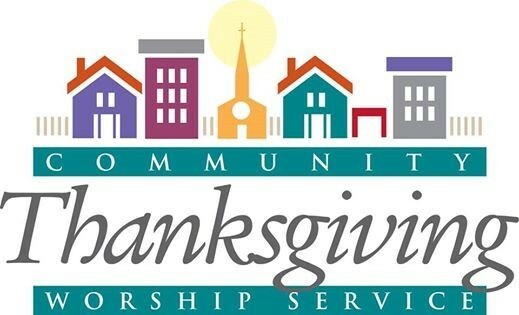 Join us as we gather together as one community to give God our thanks. Sponsored by: All Souls Episcopal Church, Messiah Lutheran Church, New Hanover Presbyterian Church, Pleasant Grove Baptist Church, and Shady Grove United Methodist Church.